If you grew up in ’80s or early ’90s and owned a Nintendo system, chances are you’ve played Duck Hunt. In the classic light gun shooter video game, players would aim their NES Zappers at duck targets as they appeared on the TV screen. So what do you do when you still own the once-popular accessory? If you’re Warner Skoch, you turn it into a controller for your lamp and small devices. The setup consists of a couple Arduino Pro Minis. 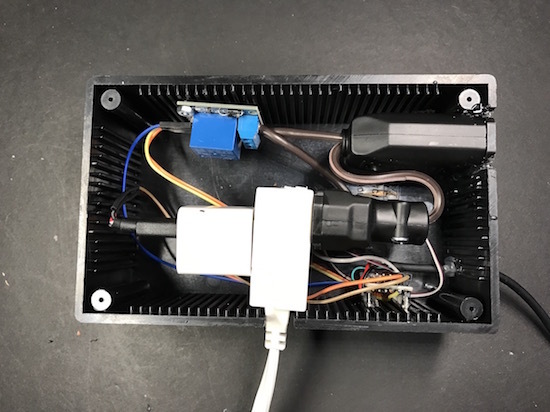 Skoch embedded one board in the Zapper with an IR emitter and another in a box with an IR receiver, which also has an outlet for him to plug in his lamp or other gadget. The receiver watches for a signal from the Zapper, which then triggers the relay inside the box on and off. 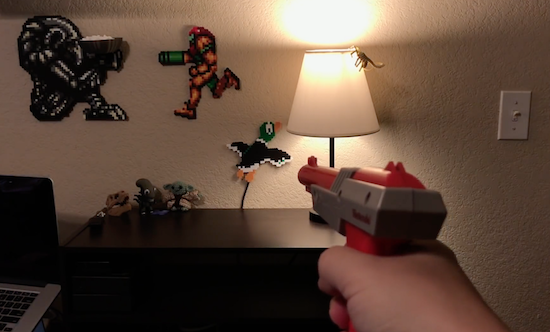 The actual IR receiver part is separate, however, mounted behind a Duck Hunt duck made from Perler beads. Spark up some NES nostalgia and watch Skoch’s project in action below! Also be sure to check out his detailed tutorial here.